The easiest pear to grow and delicious to eat - the flavour is excellent. The hardiest and most reliable variety throughout Britain. Self-fertile. RHS Award of Garden Merit winner. 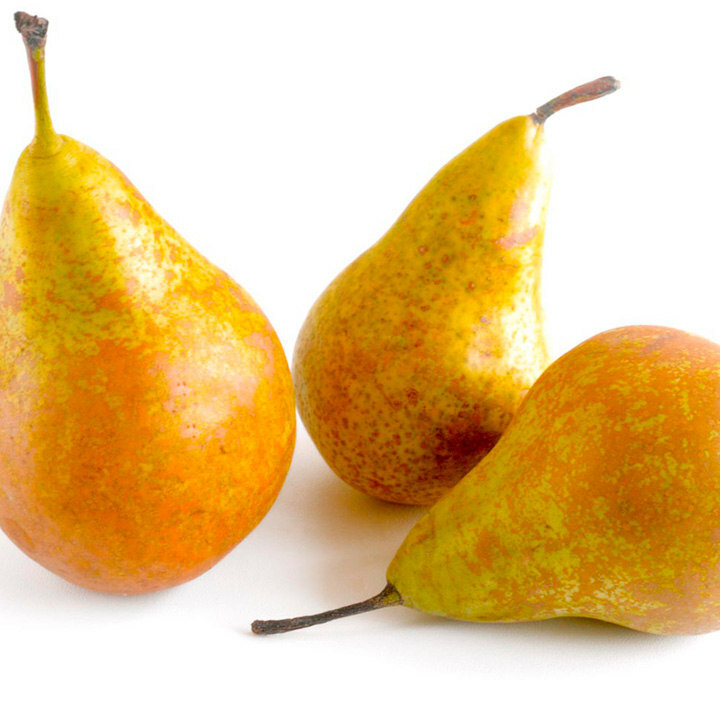 Pears are a very rewarding crop as they are very easy to grow, suffering little in the way of pests and diseases and if properly ripened are among the most delicious of all tree fruit. Unlike some other species they seem to improve with age and even very old trees can be highly productive so a pear tree is certainly an investment for life! Most of the growing styles, spacings, and pruning methods used for apples can be applied to pears and they naturally produce good quantities of fruiting spur. 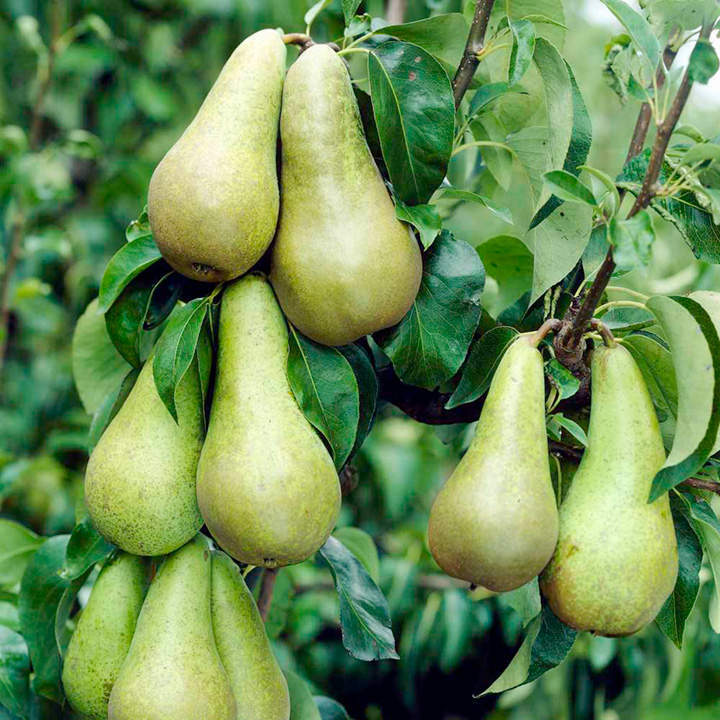 This makes all variants of cordon growing a good choice and pears make excellent ‘V’ trees. The S system however is not a good one for pears. Bush pear trees can be grown in the following way, planting 3–3.5m (10–12') apart. Once planted the central leader (main stem) is cut back to the highest side branch r feather. This will encourage to feathers to develop and these should be limited to 8 good branches in a tight ‘wine glass’ shape. At the end of the fi rst growing year these branches should be cut back by half, this will promote the development of fruiting spur which is then pruned back in turn to three buds. By this method a good fruiting habit will be established which can then be left to develop naturally for several years with just the odd damaged or poorly position branches removed. Pears are demanding of water and should never be subjected to drought conditions. In particular, regular watering in the month following fl owering will bring great dividends in terms of fruit quality. An application of a good slow release nitrogenous fertiliser at around the third week in August will greatly improve the following year’s fruit buds. This can be provided as a mulch of manure or compost or other organic proprietary material.